Dr Li has extensive experience in Western-Chinese Medicine Acupuncture. Interested in fertility, pregnancy IVF support, sports injuries, skin problems, chronic pain, chronic disorders, anxiety, stress etc. Dr Li provides professional quality treatments to take care of your vexing health issues. Her training in combined Western-Chinese medicine enables her to use information taken from a patient's X-ray's, blood tests and other medical reports before prescribing herbal remedies and acupuncture treatments. Jade Buddha Herbs is one of the longest established clinics in Sydney's eastern suburbs. Established in 1995, we provide combined acupuncture and authentic Chinese herbal medicine treatments for a wide range of health issues, caring and supporting men's and women's health. You Xia Li is a Registered Chinese Herbal Medicine Practitioner and Acupuncturist with 30 years experience. You Xia Li maintains a successful practice in Chinese Medicine in Sydney's eastern suburb of Randwick. She established her Chinese Medicine Clinic - Jade Buddha Herbs in Randwick in 1995. Dr Li has a Bachelor of Science in Medicine from the People's Republic of China. She graduated from Shanghai Second Medical University in 1983. Was a senior physician at a teaching hospital attached to Shanghai Second Medical University, working in the depts. of acupuncture and integrated Western-Chinese medicine. Her extensive experience in combined Western - Chinese medicine, enables her to use information taken from a patient's X-ray, blood tests and other medical reports before prescribing herbal remedies. 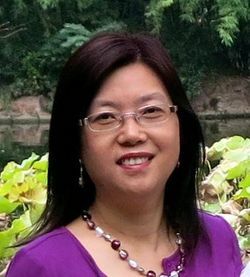 She is a member of China Medical Association, International Red Cross, Shanghai Acupuncture Association and Australian Traditional Medicine Society. Paul is a Tai Chi instructor, who is additionally qualified in Traditional Chinese Medicine after being trained both in Australia and abroad in China. He is an accredited member of the Association of Remedial Masseurs (ARM) and Fitness Institute of Australia (FIA). A 50 year old male teacher came to Jade Buddha Herbs suffering from very bad sinus infection. He had been two weeks on antibiotics with little improvement. His symptoms were a large emission of green mucus from the nose and irritating pressure pain on his head and face. We commenced treatment with Chinese herbs to eliminate the heat and dampness plus acupuncture treatment twice a week. Within a week his condition showed some improvement with much less discharge of mucus which had become clear, and his headache and facial pain had eased. We continued the treatment with acupuncture and another two weeks herbs to further eliminate heat and dampness. By the end of 4 weeks treatment, he was symptom free and his tongue and pulse back to normal. A 44 year old dentist had three unsuccessful attempts with IVF before she came to our clinic. During her treatment at Jade Buddha Herbs she started a fourth IVF cycle. At the initial examination, she presented with very pale tongue, a fine pulse and her chimai was weak. We commenced treatment with Chinese herbs twice daily to strengthen her kidney and spleen qi and to nourish her kidney and liver blood. She also had acupuncture treatment twice a week to integrate with Chinese herbal treatment. On the day of embryo transfer, she had an extra acupuncture session. Before her eggs collection, her husband also had Chinese herbs and acupuncture treatment to strengthen and nourish his kidney qi and blood, in order to improve his sperm quality. As a result laboratory tests showed an improvement in his sperm count. After 5 weeks of treatment the woman’s pregnancy test was positive. Her fourth IVF cycle was successful with the additional support of Chinese medicine and acupuncture. A 51 year old female sales person came to us with a gall-bladder stone condition. When she first came to Jade Buddha Herbs, she had a gall-bladder condition which was shown through ultrasound to be diseased and to contain multiple small stones. She had consulted two specialists and both had advised her to immediately have the gall-bladder removed. During the clinic examination her tongue appeared dark red with a thick yellow coating and her pulse was wiry and rapid. She commenced treatment with Chinese herbs and acupuncture on a weekly basis. The principle of the treatment was to disperse blood stasis and eliminate stones, clear away heat and dampness and promote choleresis. After three months treatment, she had a second ultrasound test which showed her gall-bladder was much improved. The gall-bladder wall, originally 4.7 cm thick was reduced to 2 cm thickness and most of the small multiple stones were gone. Her tongue and pulse had returned to normal. The woman was very happy to avoid surgery to remove her gall-bladder. A 43 year old female manager came to us with a condition diagnosed by a medical specialist as “chronic ulcerative colitis.” She had been treated for eight years by a medical specialist for her condition and was at the end of her tether. She was suffering major abdominal pain, large quantities of blood being passed from her bowel every day, and feeling exhausted and stressed. On examination, her tongue appeared dark red with a thin yellow coating and her pulse was wiry and rapid. She commenced Chinese herbs and acupuncture treatment on a weekly basis. The treatment was primarily to clear the heat, cool the blood and to stop the bleeding. Within four weeks of treatment, her abdominal pain and bowel bleeding had eased. Her general feeling of stress and exhaustion had decreased. She continued with the Chinese herbs and acupuncture treatment while at the same time cutting hot natural food and gluten from her diet as we advised. We also advised her to stop drinking alcohol. Six months after the treatment, she was assessed by a western medicine specialist through colonoscopy and the result was that her ulcerative colitis had “Medical Remission.” Also she was completely symptom free. Her tongue and pulse were much improved. A 23 year old male law student came to us for help for an unusual skin disorder. 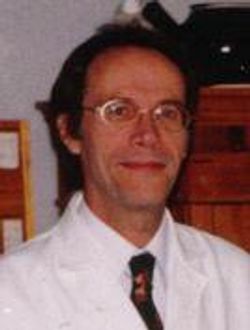 He felt he had nothing to lose by trying alternative medicine to relieve suffering from severe acne, eczema and a rather widespread rash : three conditions that manifested at the same time. Before he came to Jade Buddha Herbs he had tried using many types of steroid creams externally without success and now he was desperate for help. On examination, his tongue appeared deep red and his pulse was rapid. He commenced treatment with Chinese herbs taken twice daily to clear the heat and eliminate toxin, to expel wind and relieve itchiness, and also to cool the blood and remove blood stasis. After 4 months of treatment his eczema and widespread rash were almost gone, but the acne on his face was still severe. Therefore, the treatment plan was changed to focus more on cooling blood and removing blood stasis. In another 4 months his skin was completely clear: the three types of skin condition had been removed and his tongue and pulse were normal. Disclaimer: Please be aware that client’s results may vary. The work we do also involves the client’s participation and requires good lifestyle choices in conjunction with our treatment.